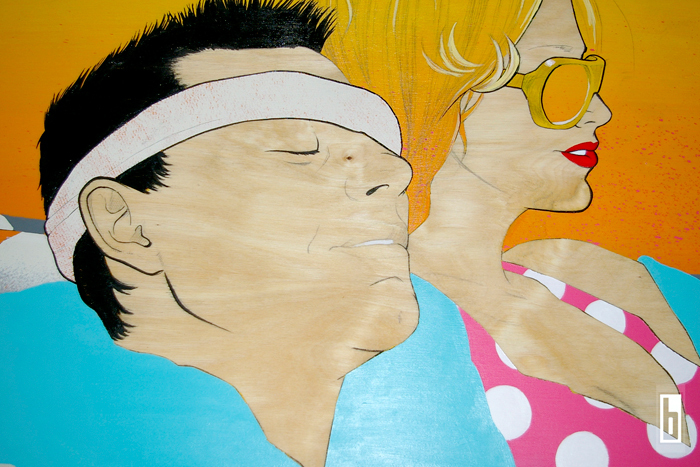 Still to this day True Romance is one of my all time favourites. This was a fast Four day painting for the Plywood Collective HEROES show at SPiN Toronto. Wish I had longer to work on this and properly capture the finished product but my time line was limited so I had to break it down as quickly as I could. 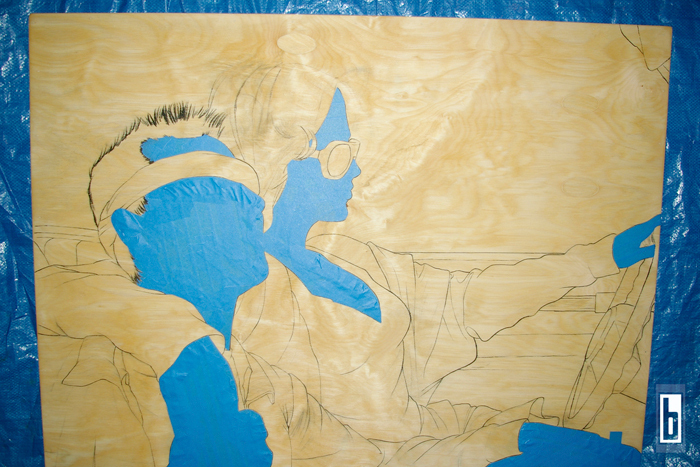 Started off with a decent sketch of the Proulx’s posing in their car. Using blue painters tape after a light stain dried I blocked off all of the skin areas and painted the background over top. 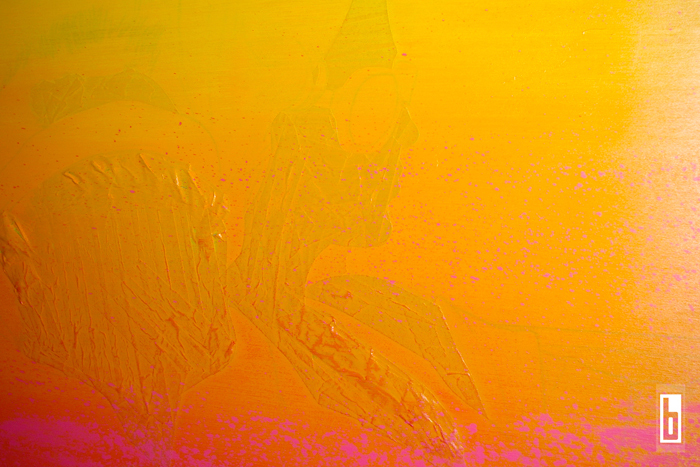 Throwing pink paint and attacking the colours from right to left giving it a sense of speed. Once their individual outfits were blocked off and finished I removed all tape and cleaned up the line with a Sharpie paint pen.